While robbing Egypt's mummies, sphinxes, and palm trees, Napoleon can't resist bringing home a souvenir crocodile as well. All Paris is enchanted with this exotic creature. But for a crocodile with an appetite as big as his ego, being the toast of the town has its downside, too. What's a crocodile who's used to a dinner of flamingo, snake, or mongoose to make of chocolate mousse? Oh, to return to his beloved Nile! But fickle Napoleon has other plans for our hero... 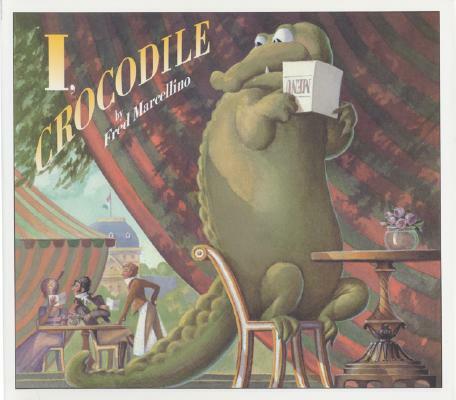 Inspired by an obscure nineteenth–century French satire, I, Crocodile is the first book Fred Marcellino has written as well as illustrated.